Following the success of 2005's groundbreaking book and exhibition reGeneration: 50 Photographers of Tomorrow 2005-2025, reGeneration 2: Tomorrow's Photographers Today turns the spotlight yet again on the next generation of photography's potential stars. Through over 200 images, this remarkable survey-the only anthology of its kind-showcases the inspiring creativity and ingenuity of 80 up-and-coming photographic artists. For the second incarnation of this international photography competition, curators at the world-renowned Musée de l'Elysée in Lausanne, Switzerland, selected the winning candidates from hundreds of entries submitted by some 120 of the world's top photography schools. The selection was made with one key question in mind: is the photographer likely to be known in 20 years' time? The variety of subjects and techniques on view reflects the astonishing diversity of worldwide talent that has recently emerged, as contemporary photography reinvents itself and its audience expands accordingly. Useful reference materials include biographical details of each of the 80 photographers included and updates on the winning photographers from the first edition, many of whom have gone on to forge impressive international careers. 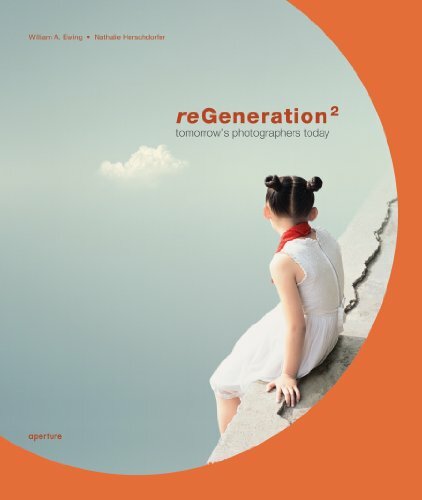 reGeneration 2: Tomorrow's Photographers Today proves that the art of photography is alive and well, and that practitioners of extraordinary talent are well on their way to making their mark.